It’s been a while since I’ve caught up with some of the latest Club Penguin Island news, I apologise for this! Please note that all information in this post is unofficial unless stated otherwise. Today I want to share with you some unofficial pictures and information about future updates. Let’s start with an extremely realistic looking concept of the Puffle Wilds, kindly shared to me by Flippy! 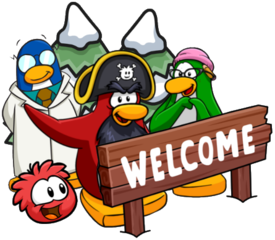 This is a concept that could be for Club Penguin, but it looks to be very much in the Island style, as well as there being interactive items. It looks incredible, even showcasing a design of puffles! This is just an early concept, but we can see an area similar to the Puffle Park and lots of stores! You might be wondering that this could just be a brilliant fan-art, but there is more proof to suggest a Puffle Forest like the one above! This screenshot below is from the files and kindly provided to me MrKcyre mentions a few buildings, include a puffleForest. 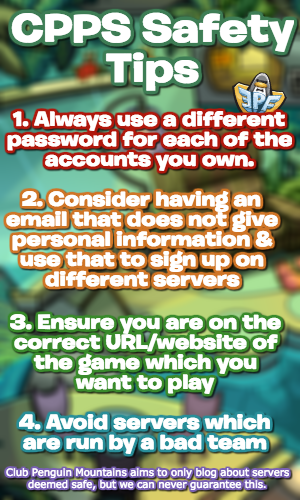 This also suggests it is highly likely a Puffle Forest will come in the future! However, you may be wondering about some of the other items on there! For example, the Cafe. This is likely what the Cafe will seem like, shared to me by MrKcyre. It has the same sort of feel to the buildings in the concept image! The other building is Rory’s Furniture Sign! It seems that the beloved builder from classic Club Penguin, Rory, will finally be making his return to our new island! This has been rumoured for a while, but now there is even more evidence to suggest this! That’s some very exciting information in this post, especially relating to the new area! I’d like to give a huge thank you to Flippy and MrKcyre for the images in this post! Please remember that none of the information here is officially confirmed.